Reasons why I love being a Grandmom, MomMom, Nana, GiGi, MiMi, etc. 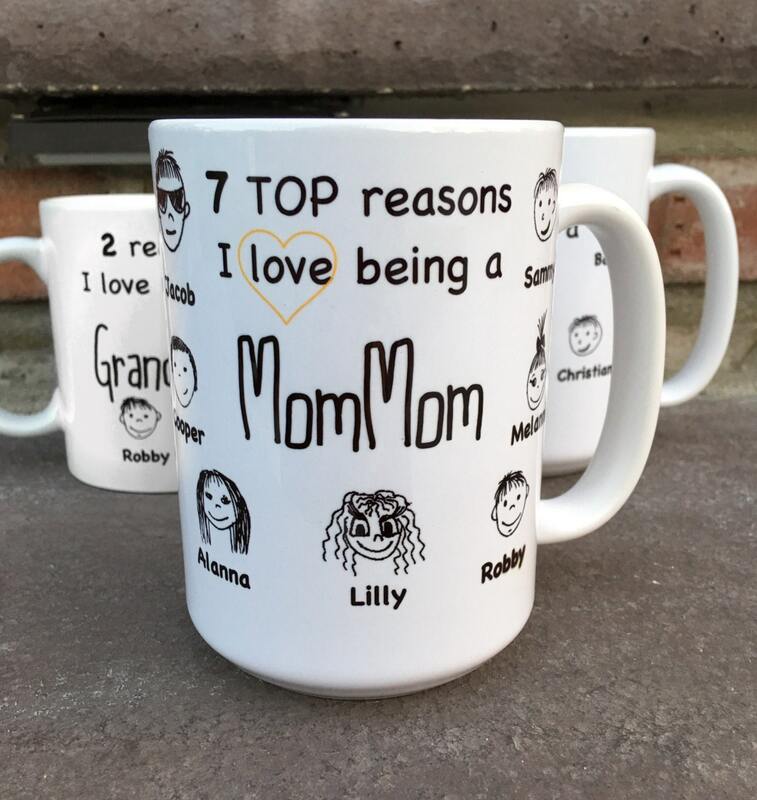 mug with personalization and faces. 1. Include the names and face choices in the note to seller section when you check out. I can fit up to 20 faces! 2. 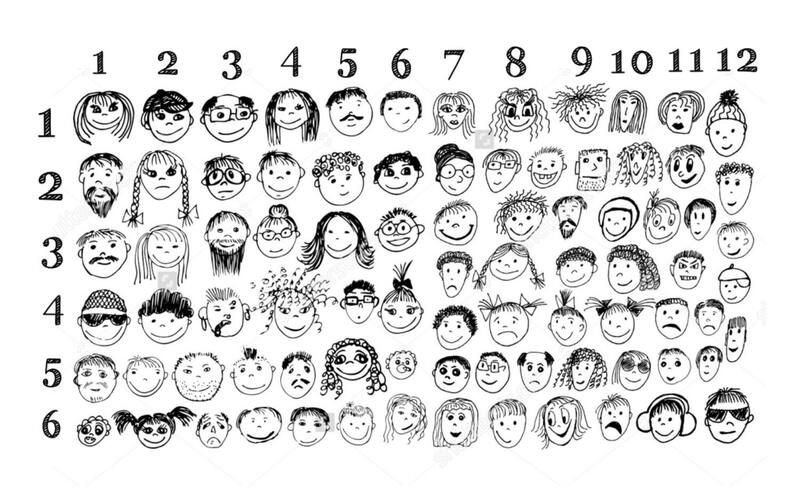 List Top number and then left number to choose a face. -Mugs are packaged in a gift box inside a shipping box. • Microwave and dishwasher (top rack) safe and FDA approved for food and beverage safety. • Our designs are professionally printed with vibrant detail and sublimated onto the mugs which will not crack, peel or wash away. 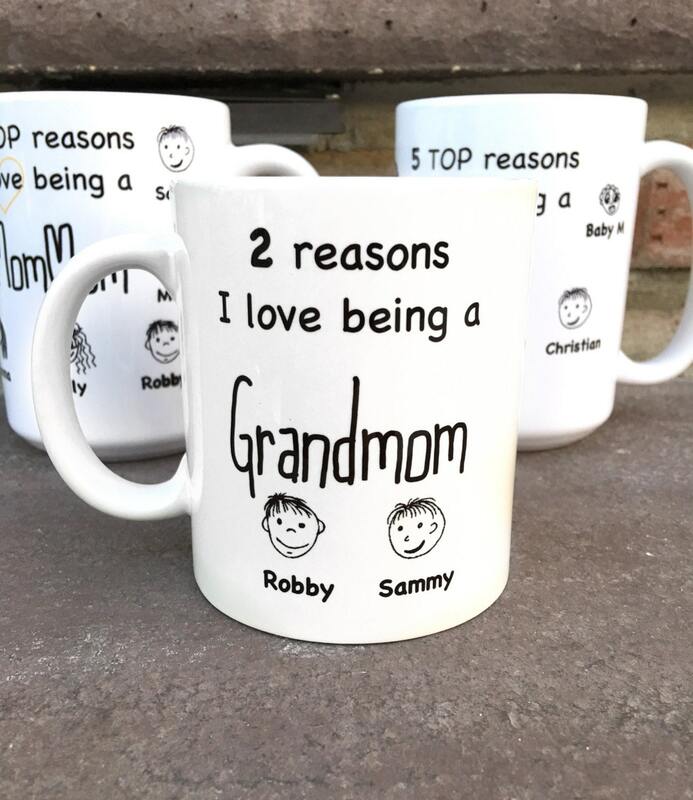 • Each individual mug is custom made-to-order and carefully packed. -Free 1-3 day (depending on location in the US) Priority Mail USPS with tracking. -Mugs ship same day if ordered before 9am ET. Next day if ordered after 9am ET. -You will be sent a tracking number when your mug has shipped. Message me with Questions! I am super easy to work with and to talk to. I also respond back right away!